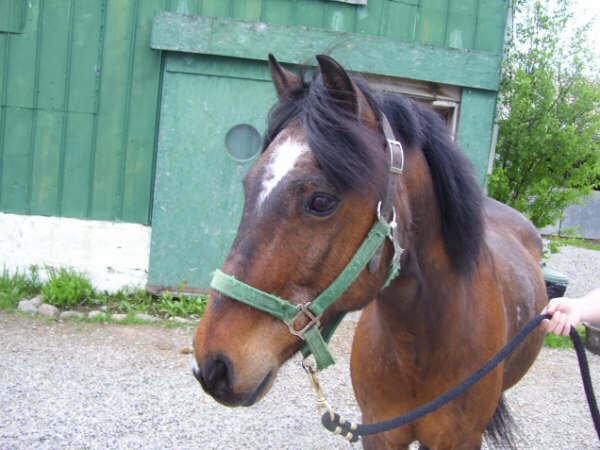 I am a 15.2hh Thoroughbred. I work with all riders from beginners to dressage and jumping. They say I am as cute as a button! I have shown for a few years with the show team and I always take care of my riders. I love to show! And I have to say, I am pretty talented over fences. I also love dressage where I always learn something new. Mainly, I just love to please my riders no matter what we are doing. Hi I am Mira. I am a very large and pretty pony and I love playing in the pond. But when I work, I have lots of fun with the students working over jumping courses and with all levels of riders. I am on the show team and always have lots of fun. My name is Perseus. I have been on our show team and am an awesomely athletic pony over fences. 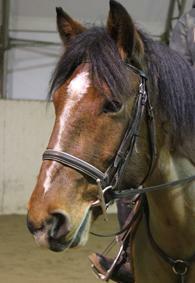 I work with riders from the beginner level, up to riders working over courses. My stride is just as long a some of these big shot horses around here! Hi, my name is Sampson. It means Sun because I am very Sunny boy! 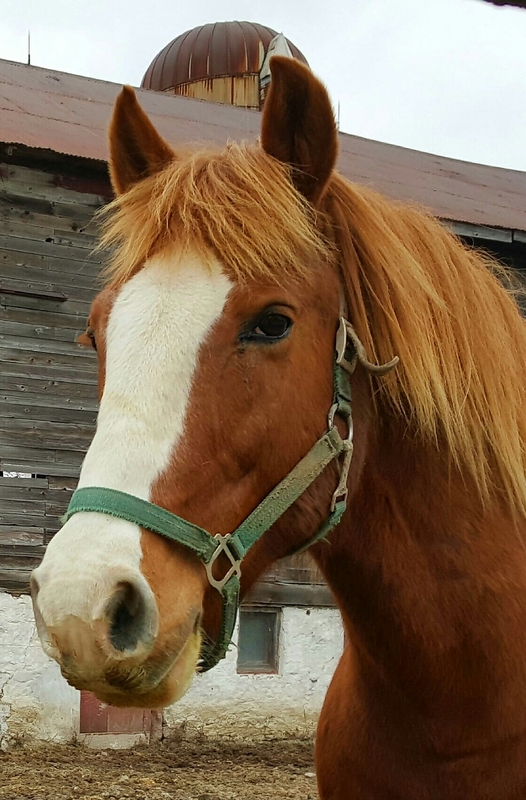 I have a gorgeous mane and I am pretty darn good at whatever my riders ask of me too. I do think I am pretty fancy and no one disagrees with me! But you can always rely on me to get the job done too so I’m not just a pretty face! My name is Soleil. 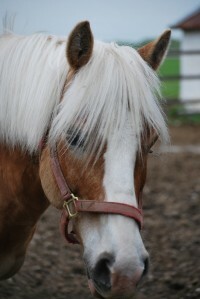 I am a Haflinger horse. 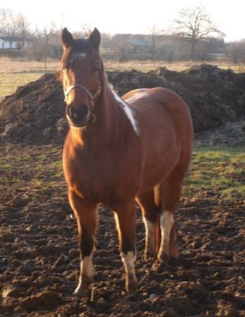 I am about 14hh and a pretty solid guy. 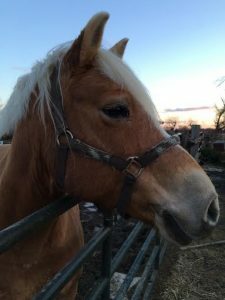 I have been on the show team as well and once the riders convinced me that I had to go, I was actually a very steady and wonderful horse. I work in the Pegasus Program and with most of the school’s beginners. 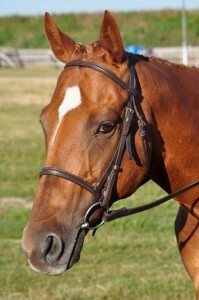 I also try really hard in all our Hunter classes and I would love to learn more dressage! 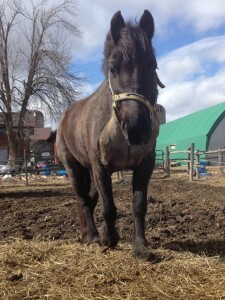 My name is Thor and though I may be a little short and live with the ponies I actually feel very very big! I am not very brave though, so I like it when my riders are gentle and take care of me. Then I am the best horse ever, well OK, pony.. 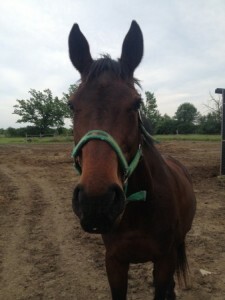 I am on the show team and I have so much talent over fences, I am as good as all the horses put together. Well that’s what my riders say so I believe them. My name is Mistral and I am the rock of the barn. Not actually a rock of course, but I am as solid as one! I work with beginners to more advanced riders and I especially love our Pegasus students. I may not be a glamour queen but I do have the most awesome steel gray colour – just like a rock! I am a Thoroughbred mare. I lived in a field for a couple of years before getting back into the riding school game here at CES. My skills were rusty but the riders here have helped me get myself back into great shape. I have been on the show team and I loved it! As long as my rider speaks softly and clearly to me I am good to go! 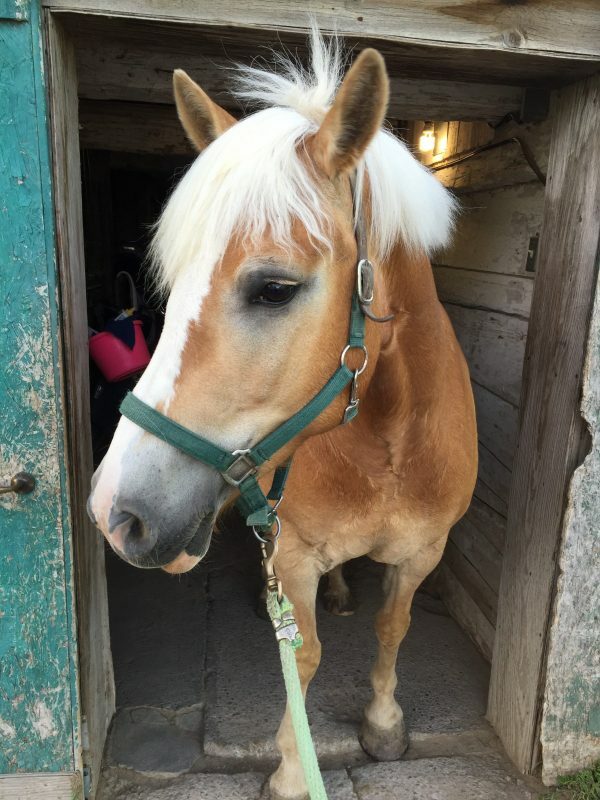 I am Ciracita, the newest Haflinger Horse. People say Soleil and Sunshine and I all look the same but the truth is I’m the prettiest. All our names mean Sun so that makes us the Sun Ponies! I always try hard to learn and actually I will do anything to please these lovely humans at CES.